Marketing executives and consultants have been brushing off Snapchat as a fad, without a long-term, sustainable business. However, it’s worth taking notice that Martin Sorrell, the Chief Executive Officer of WPP, the largest advertising firm in the world, thinks Snapchat is a threat to Facebook. On Tuesday, Sorrell told CNBC that the advertising firm spent over $90 million on advertising in 2016– or $60 million more than what WPP predicted they would spend on the messaging app at the beginning of 2016. This staggering sum means that Snapchat’s 2016 revenues are probably much higher than what investors currently predicted it to be. Investors and analyst predicted Snapchat would earn $350 in 2016, but, considering WPP alone spent $90 million, it’s likely that the Los Angeles tech company earned more than that. Accolades such as this are great for Snapchat, who’s parent company, Snap, Inc., is getting ready for an IPO that would value the company at $25 billion. It is expected that in 2017, Snapchat revenue could reach $1 billion. Revenue growth like this will for sure raise the eyebrows of Facebook and Google. However, Snapchat will still lag behind those tech giants who, in 2016, had clients spend $5 billion and $1.7 billion on Google and Facebook. 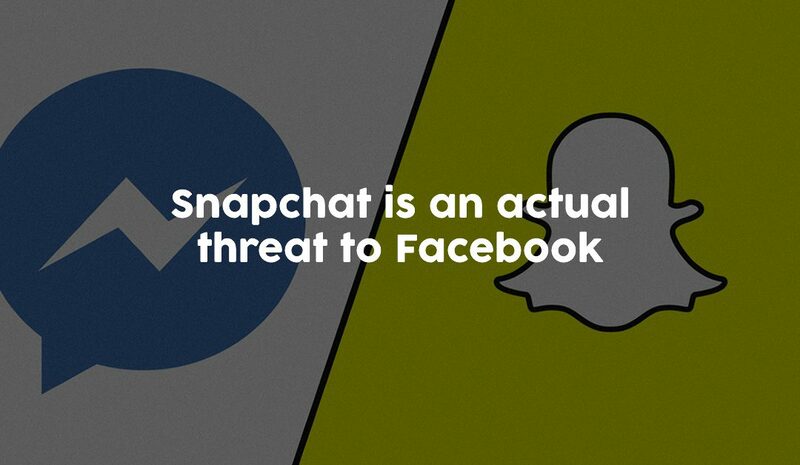 Do you think Snapchat is a threat to Facebook?